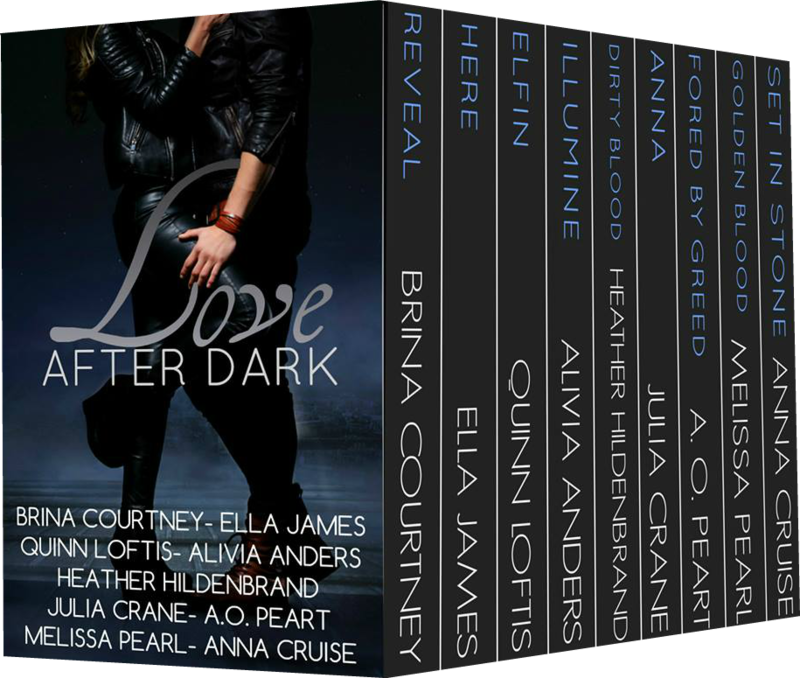 Love After Dark features nine bestselling authors who create worlds and love within them. Not only will you find love between the pages but new content relating to their fabulous series! This bundle will include Brina Courtney, Ella James, Quinn Loftis, A.O Peart, Alivia Anders, HeatherHildenbrand, Julia Crane, Melissa Pearl, and Beth Shelby.